ONLY ONE LEFT This is for very nice 7.25 in. 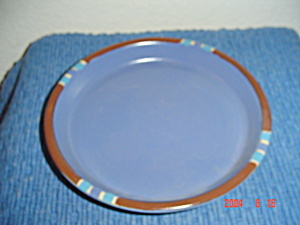 salad plates from Dansk in the pretty Mesa Sky Blue pattern. These pieces are chip and defect free. There are some very light (and I mean light) scratches from use but they can only be seen if turned to the light.